You already know that your poo can reflect your physical, and sometimes even emotional, health. You may get constipation or have diarrhoea when you eat something that “doesn’t agree with you,” or when you’re super-nervous about something. This is common in conditions such as CFS/ME. And what about fibre and water? If you’re not getting enough, it’ll probably show in your bowel movements. What about the all-important gut microbes? If they’re not happy, it’ll probably show in your bowel movements. Did you know there is an “official” standard for poo? I mean a university-created chart! One that is used to help diagnose conditions like irritable bowel syndrome (IBS)? 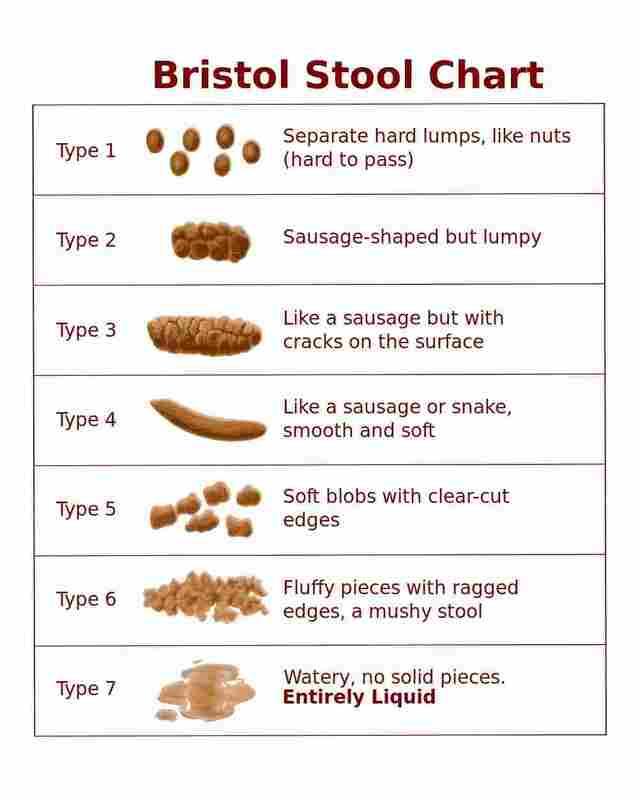 You probably guessed that the shapes described in the Bristol Stool Scale are not the only thing to consider for poo health. These are good habits for anyone and everyone, even when you have perfect poo! Of course, long-term issues might require a more thorough review with a qualified health care practitioner. Don’t suffer from poo issues for too long before seeking help. Contact Kate for a free 15 minute consultation.